TUF Gaming brand was first introduced to consumers as a new motherboard sub-brand. These products aim to bring stability and performance at an affordable price to consumers. As the reputation of the brand grew with the introduction of more products such a desktops and notebook computers, ASUS announced that they will be including new peripherals and other components as well. AT COMPUTEX 2018, ASUS introduced 4 new TUG Gaming Products. Let’s get down to the key features and value propositions of these individual products. 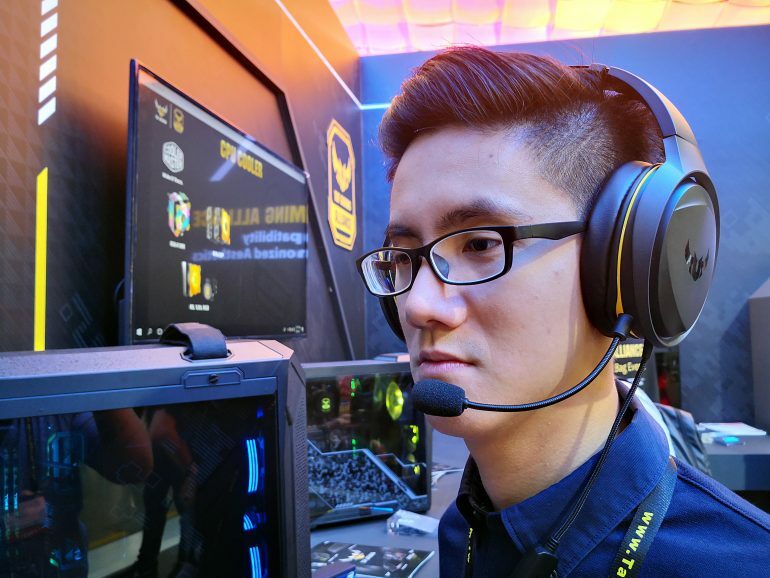 Singapore, 4th June – The PC gaming renaissance is bringing a new generation of recruits into the ranks. They’re joining a community that’s increasingly diverse and frequently unfamiliar with the intricacies of building a complete rig. TUF Gaming aims to make the process more approachable by smoothing out the wrinkles in the DIY experience. Designed for gamers seeking stability and performance at an affordable price, it focuses on delivering durable gear that can survive the rigors of punishing play now and still deliver reliability in the future. The key caps are also covered by three layers of paint, one more than typical keyboards, which helps them hold up to everyday use. Under each cap, Mech-Brane switches use a specially tuned membrane to mimic the feel of a mechanical design. Five-zone Aura Sync backlighting stretches across the keys, powering a personalized array of colors and effects that you can easily synchronize with the M5 mouse. Like with the M5 mouse, Armoury II lets you record custom macros and save them to onboard storage. Kingston showcases new MicroSD Cards, Encrypted SSDs and more!